The consensus is building: digital financial products, such as mobile accounts or agent banking, can drive financial inclusion for women. Women’s World Banking’s research has shown, time and time again and in various countries across the world, that low-income women often face barriers of time and distance in finding safe places to save their money. Women’s World Banking’s latest report on best practices in digital savings for women found that financial services delivered digitally can address women’s physical barriers by offering better, more convenient services at lower cost. Digital savings also addresses the emotional barrier women have when it comes to accessing formal financial services because it allows them to grow trust and build a relationship with the provider. These frequent and more convenient touchpoints, whether through her mobile phone or the agent, can also contribute to enhancing her financial literacy. However, while digital financial services may be the key to women’s financial inclusion, that doesn’t mean women will automatically adopt and use these products. 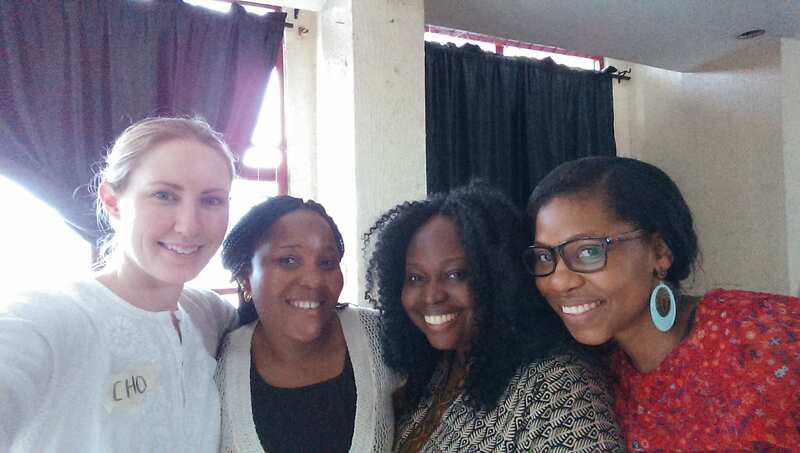 The pilot assessment of our Target Savers project with Diamond Bank in Nigeria revealed that digital financial services are not a “plug and play” solution for reaching women clients. It takes a true commitment from the financial institution to invest the time and effort to ensure the product ultimately gets in the hands of women. Women’s World Banking has been working with Diamond Bank in Nigeria since 2013, conducting research on the financial needs of low-income Nigerian women and developing products that serve their needs. The successful launch of BETA, which has now reached over 250,000 savers, showed us that we were helping to bring more Nigerians into the formal banking sector. Still, only 35% of clients were women… well below target. 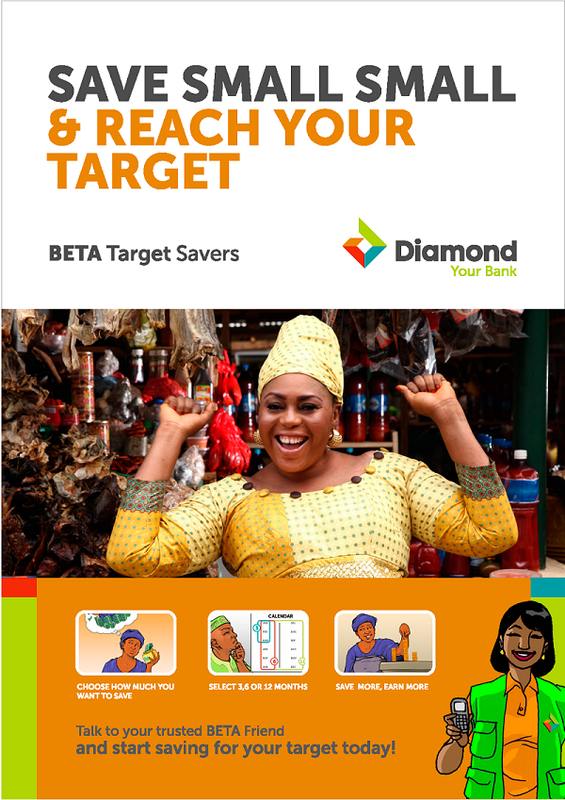 Given incredible uptake however, Diamond Bank decided to build on this product and collaborated with us to introduce BETA Target Savers. I was fortunate to join our Product Development team on the ground in Nigeria to research this latest digital savings product to hit the market. Target Savers was launched in June 2015 and rolled out to 20 braches within the Lagos area. It builds upon the existing infrastructure of Diamond Bank agents, known as BETA Friends, who venture into the busy marketplaces within and around Lagos to connect directly with clients. This one-on-one direct customer service approach has been key to BETA’s success, because clients felt better served. “My BETA Friend is good and friends with everyone. He helps people save. He’s friendly compared to other people…he’s encouraging,” said one BETA woman client. Armed with a mobile phone and a smile, the BETA Friend explains the Target Savings to the client. The client sets a saving target to be achieved over 3,6, or 12 months, while accruing interest. Digital text receipts are sent to the client after every deposit, giving them a sense of security that their money is safe. After the initial period, the account automatically renews for another 3, 6, or 12 months. Account set-up is done easily on a mobile phone through the BETA Friend. The role of the BETA Friend is critical. Even though Nigeria has a culture of saving, clients say they count on daily money collection because they give whatever money they have on them which would otherwise be spent elsewhere. Three months after the pilot launch, we were thrilled to see average account balances were seven times higher than expected and total deposits far exceeded our targets. This tells us three things: that delivering savings digitally is effective, Target Savers is a valuable product for the low-income market and that the low-income market is a valuable client base for Diamond Bank. The main driver for these successes are not only the BETA Friend’s bringing customer service directly to the client, but the client’s steadfast desire to save in a safe account to reach their goal. During one of our focus groups, a woman client said, “You keep your money to achieve what you want to do. You keep in the back of your mind to achieve your goal.” It’s clear that targets are driving client behavior towards saving but it’s also the digital technology that makes saving accessible. The challenge remains in reaching women. Despite efforts to market the product specifically to women, only 36% of all Target Savers accounts belong to women. While this does represent progress in Nigeria, where only 27% of women have access to a bank account, much more must be done to successfully market accounts to women and ensure that they are actively using them. Even though men are typically quicker to take up new financial products, women are more loyal and regular savers once a new product earns their trust so an institution would be wise to make a long-term investment in serving women clients. For both BETA and BETA Target Savers, Women’s World Banking is working with Diamond Bank to set targets and further optimize the product and its operating model to ensure that more women are taking up and using these accounts. This challenge highlights a critical aspect of advancing women’s financial inclusion: institutional commitment. Financial institutions that purport to serve women may give up at the first sign of trouble. Diamond Bank’s belief that women are an important target market drives their commitment to continuing to work with us to see the success of the BETA proposition through. Digital financial services present an enormous opportunity to bring more women into formal financial system by bridging the distance and service gaps from formal banking services. The use of mobile phones and retail agents reduces risk, distance, and cost of women’s financial transactions. Turning this potential into reality however, is not as easy as turning a switch. Institutional commitment can overcome these initial stumbles and we’re glad to have such a strong partner in Diamond Bank to show how to make digital financial services the key to women’s financial inclusion. This project was supported by FSD Africa, funded with UK Aid from the British people.